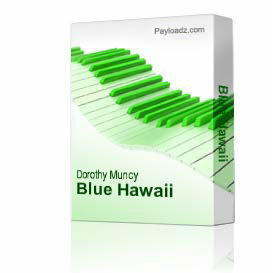 Buy and Download > Description Beginning solo ukulele arrangement of "Blue Hawaii". Free download of PDF diagram and MP3 recording of the song. No music reading required follow the easy diagram and play "by ear". Check the Ebay feedback for Uke_lady to see comments from satisfied customers. Download free sample lesson from my website at: http://uke-lady-lessons.com.